If dogs are mans best friend and diamonds are a girl's best friend then how about ... dog harness with a touch of "Bling" for the one you probably love the "most". The sparkle from the Swarovski Stones offer the best style & shine for any well-dressed dog. Genuine Leather K Harness with Genuine Swarovski Stone Cluster. This harness features alternating rows of one single med stone which your choice of stone and the alternating row has two clear smaller stones. There is a Nickel D-ring that sits on your dog's back for lead attachment and a nickel O-Ring located by the neck buckle loop to attach ID tags. 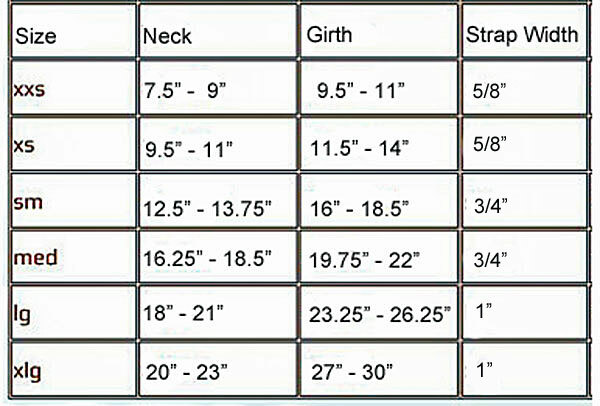 Choose your choice of leather color and the single row med crystal color for the straps from the chart below. The smaller double rows crystals will be clear.